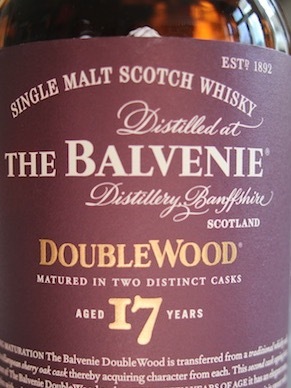 Ok so having just reviewed the little sister known as the 12yo Doublewood it wold seem rude not to say hello to the 17yo version and just see if the extra years of maturation have done anything extra..
As with the 12 yo this has been mainly matured in re-fill bourbon casks before given a ” finishing ” period in first fill sherry casks.. This 17yo also has an added % abv so is now at 43% so not a massive jump but it has to be better.. Nose.. First thing to notice is dates, raisins and oak. Second up is the vanilla and toffee notes along with sugared almonds and a little marzipan and icing sugar.. The oak is quite prominent and soft spices ride on its back..Cinnamon and a little ginger come through with subtle coffee aromas and delicate honey notes. 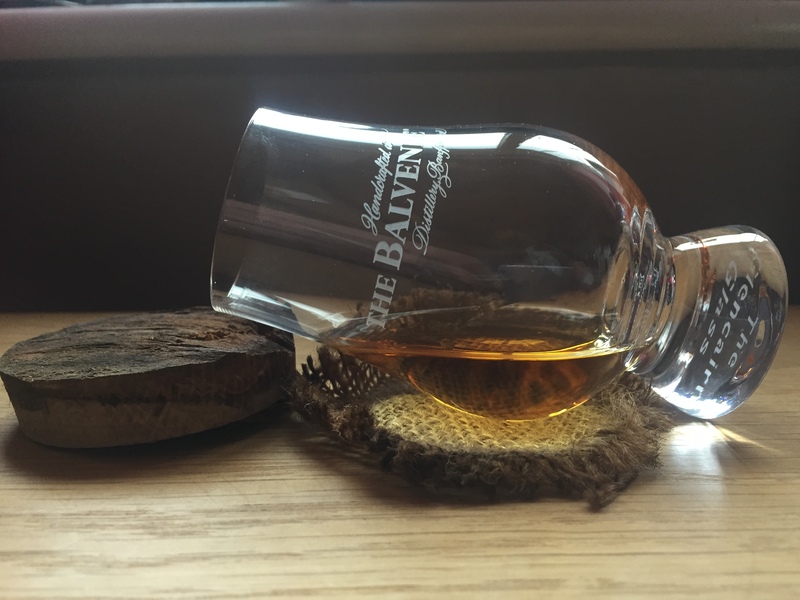 Palate.. Straight into some typical sherry flavours.. dates, raisins, chocolate, coffee, liquorice and honey all explode to give you a barrage of flavours, then the oak takes over, the spices raid your senses and you get that typical feel of the Balvenie’s expressions. Finish. Spicy with an oak twist. Thoughts.. Is this better than the 12 ? .. Yes it is, and the added years certainly shows the quality of this malt. 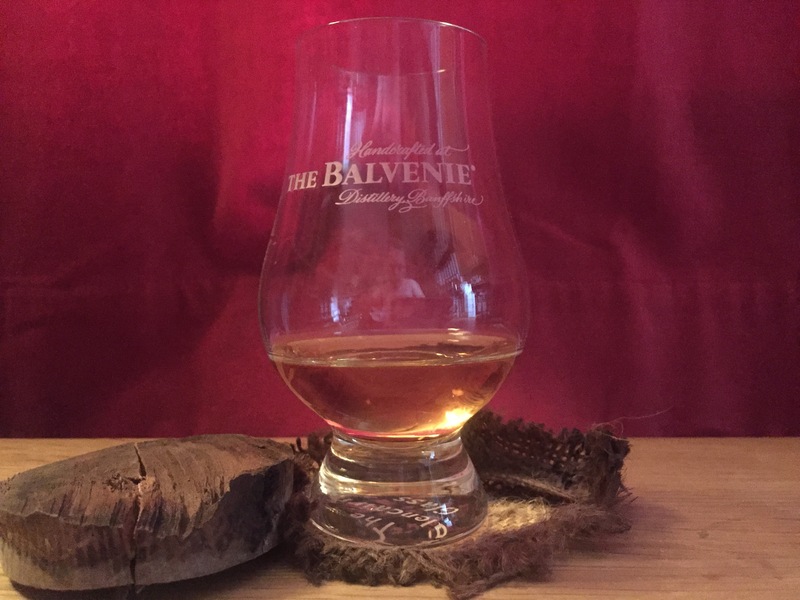 The nose starts off subtle and needs plenty of time to open but once it does it really does shine, the palate, although it’s bigger and juicier with the sherried side showing off those Balvenie delights but you can’t help but think it just feels like it falls a little short.. The abv increase over the 12 has just lifted it but I’d love it to be 46%. This 17yo does carry some good notes and I know most will enjoy it immensely..
You’ve made good points in your review, Totally agree with your notes. Hello, Your words surprise me as I do think this is my favourite whisky that I tried so far. I do enjoy it very much and think it show so much more than the 12years old. I enjoy your blog very much, thank you.